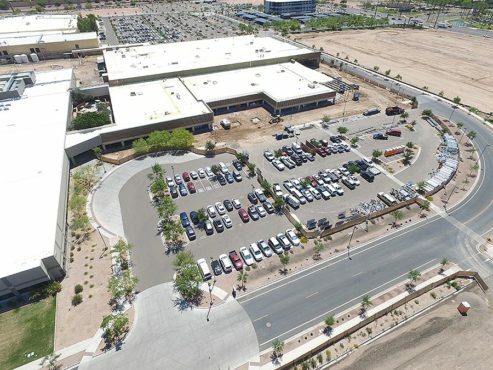 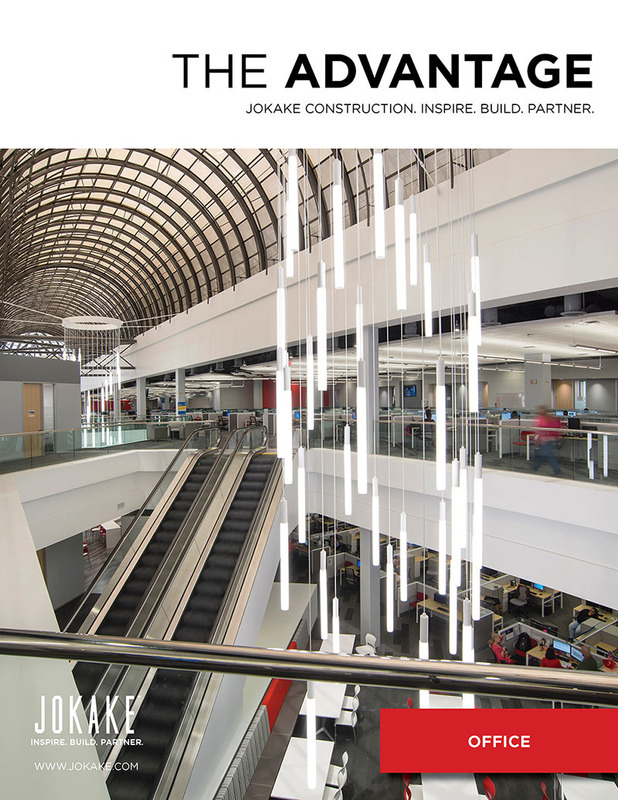 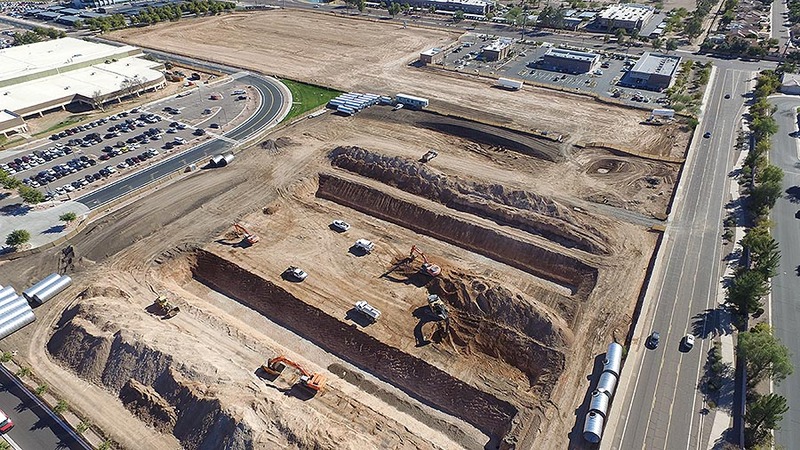 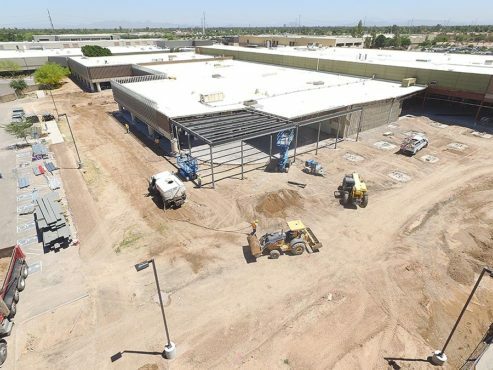 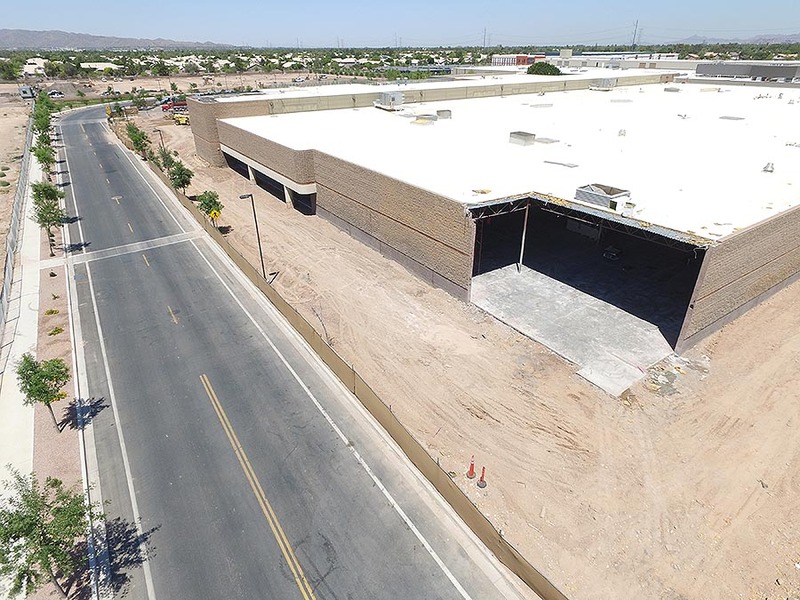 Jokake was selected to complete a 14,150 SF tenant improvements, with a portion of the existing building demolished and replaced with an exterior patio and parking lot improvements. 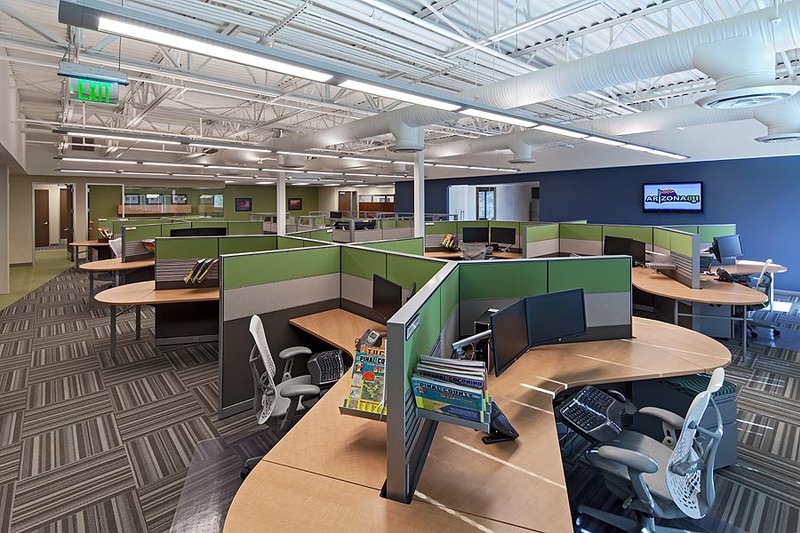 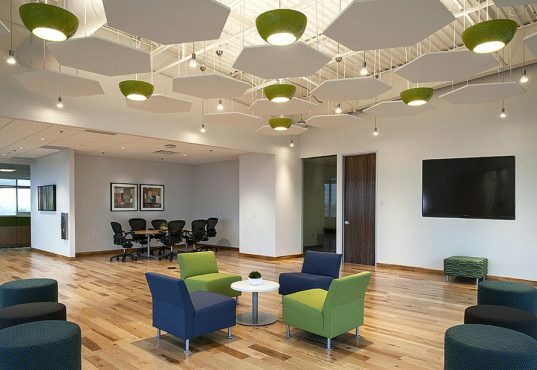 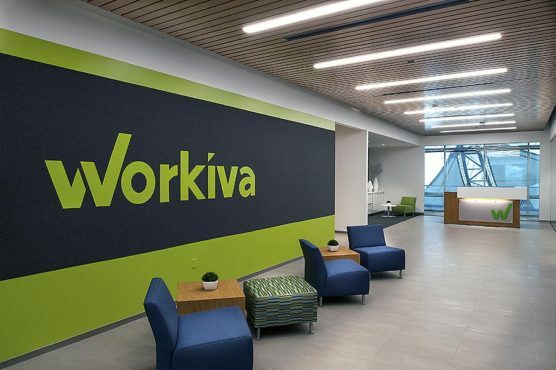 The 36,000 SF open office space includes a variety of break-out/collaboration spaces as well as a number of “private booths” for work requiring concentration. 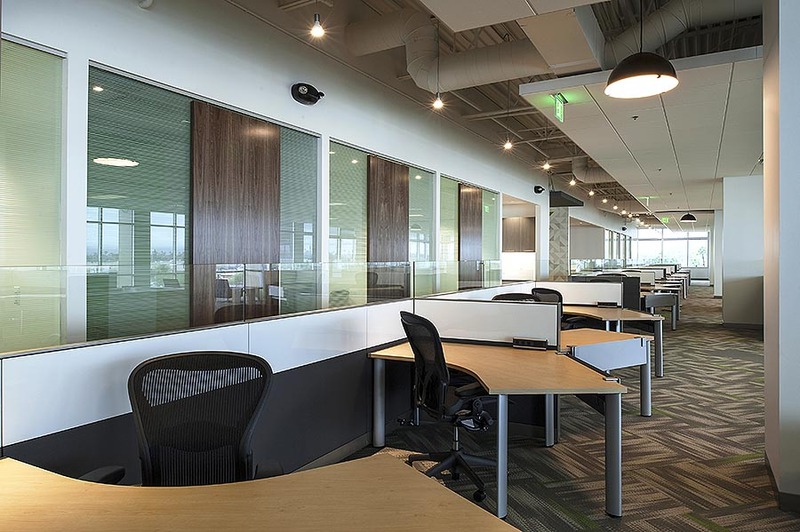 Corporate branding is expressed in the finishes, including carpet, tinted/frosted glass, paint and decals. 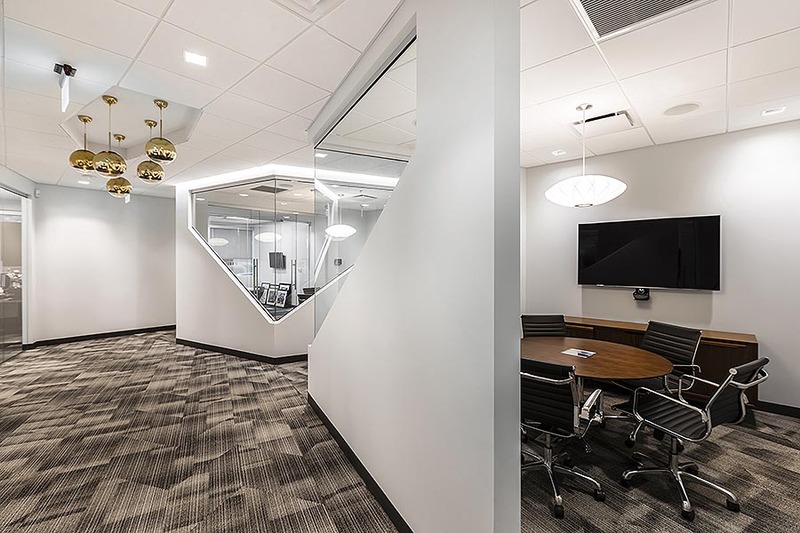 Jokake also managed the technology and security scope for the client, ensuring proper integration of access-security and A/V throughout the office. 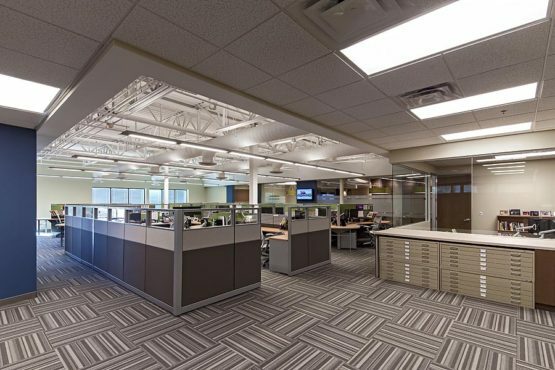 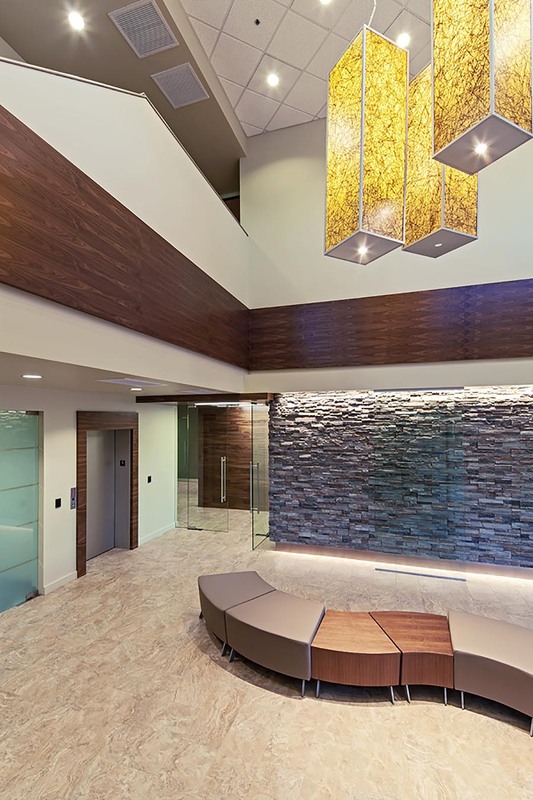 10,000 SF complete interior demolition and remodel of a single-story accounting and financial services firm. 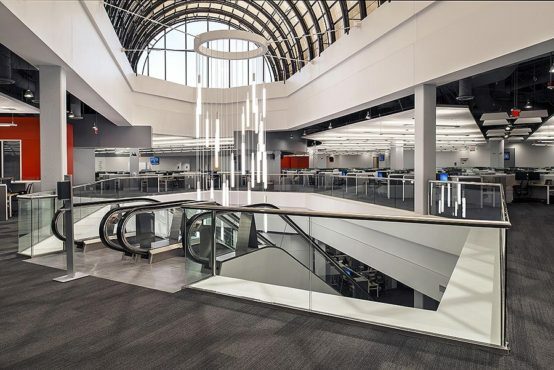 The modern design incorporates natural light and glass in unique applications throughout. 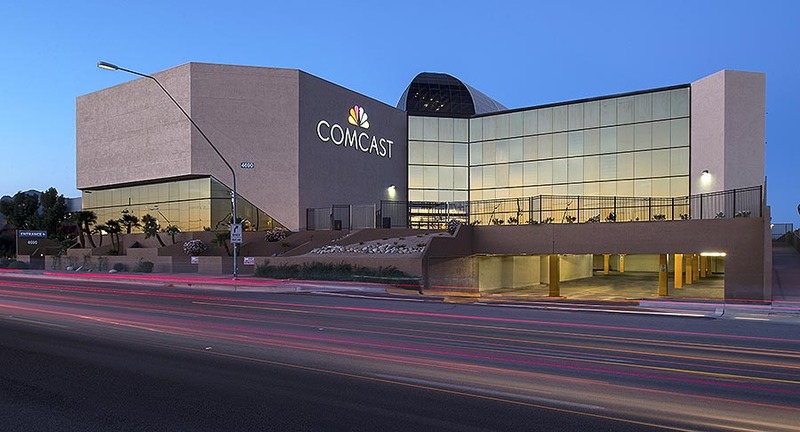 170,000 SF call center built out in an abandoned mall building. 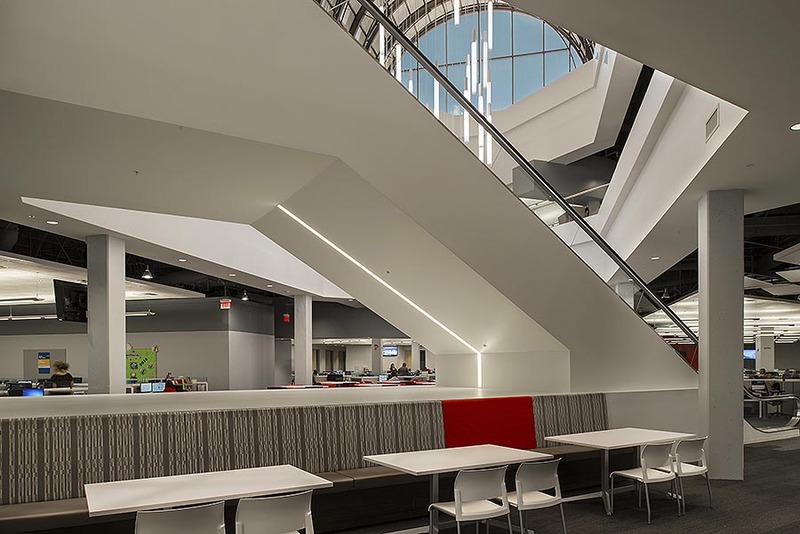 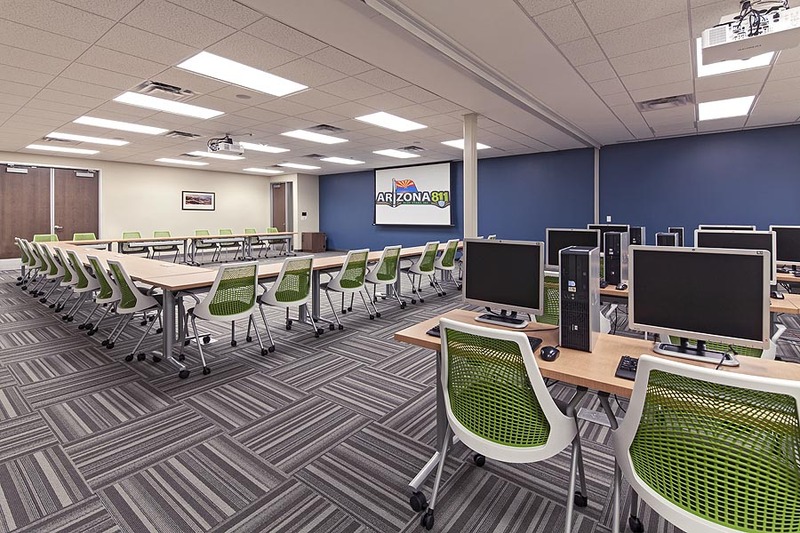 The space is an open office environment and includes large training rooms, conference rooms, a full cafeteria, and a fitness center. 175,000 SF shell renovation and open office tenant improvement with substantial site renovations including underground retention and new parking lot. 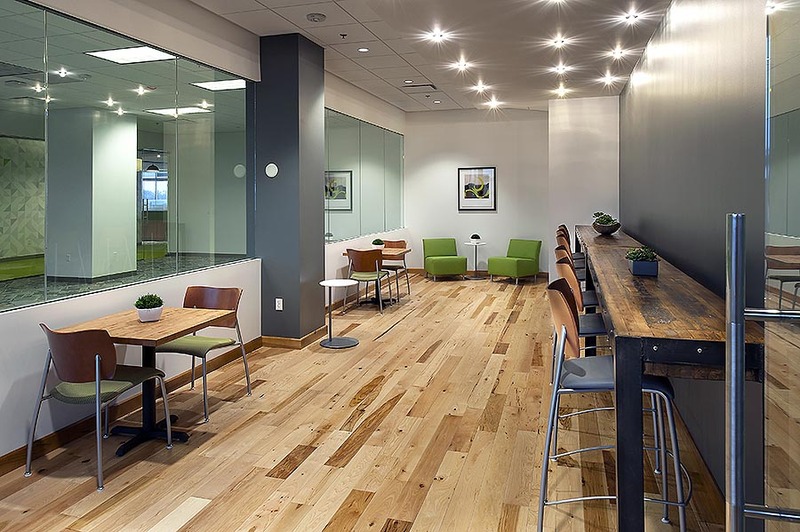 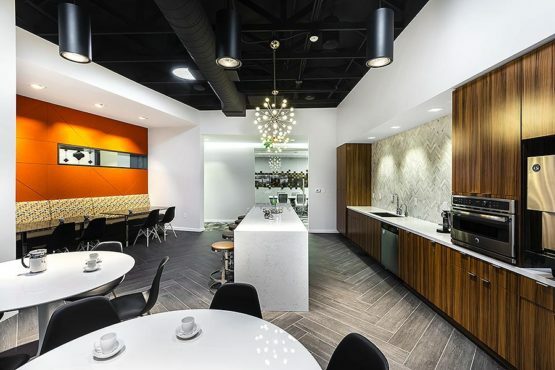 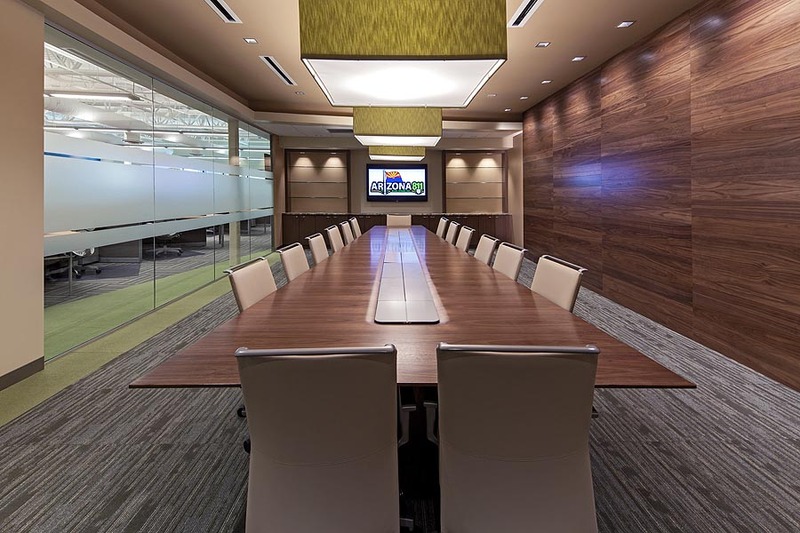 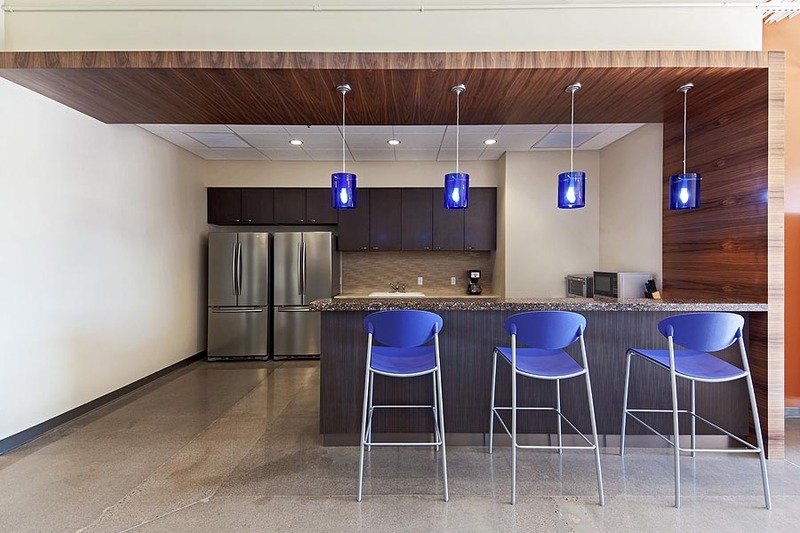 Amenities include cafeteria, break rooms, integrated technology in meeting spaces and administrative office spaces.